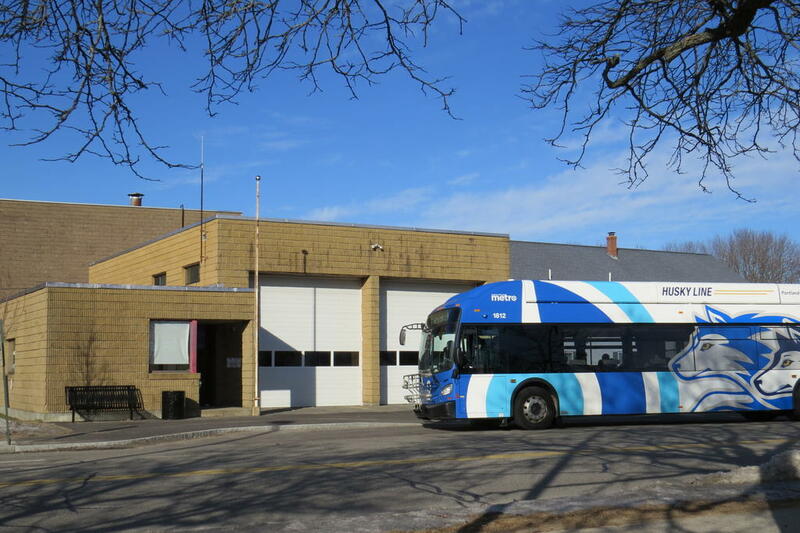 WESTBROOK — A shelter for bus passengers, a gallery for local artists and the headquarters for Discover Downtown Westbrook are among the uses being tossed around for the old Mechanic Street fire station. The building, which City Administrator Jerre Bryant said is in need of heating and roof work, served as a fire station from the 1970s when it was constructed until 2004 when operations shifted to the Public Safety Building at 520 Main St. For a few years, while the Public Services Building on Saco Street was being renovated, the firehouse served as a temporary home for the public services maintenance department. It has sat unused since and Bryant said the city no longer has use for the building. Greater Portland Metro has discussed using the building, through a lease or purchase, as a facility for transferring bus passengers, much like the Metro Pulse on Elm Street in Portland, which has benches, vending machines, restrooms and a staffed customer service desk. “They are trying to turn that little section of Mechanic Street into a little Pulse where a lot of the routes combine. If you are making a trip that requires a transfer, that is where it takes place,” Bryant said. Economic Development Director Daniel Stevenson said there have been discussions about Discover Downtown Westbrook using space in the building or having some sort of art gallery there, two ideas that he thinks should be explored further. “We want Westbrook to be downtown oriented and the more things we do to drive people there, the more we can realize that vision,” he said. Mast Landing owner Ian Dorsey said the brewery was interested in the firehouse at one point, but focus has shifted elsewhere. Bryant said any change in use that would come would have to be reviewed and approved by the City Council. Greater Portland Metro has expressed interest in using part of the old fire station on Mechanic Street as a place for people to wait for buses.